As dawn approaches, somewhere around 5:30 in the morning, Jill and Daniel Mosher stir themselves awake. While most use this time to hit the snooze button, Jill and Daniel wait expectantly on their morning visitor. Every morning without fail, young Jonah makes his way to his parent’s room to seize some snuggle time with them before his brother Emerson wakes up. 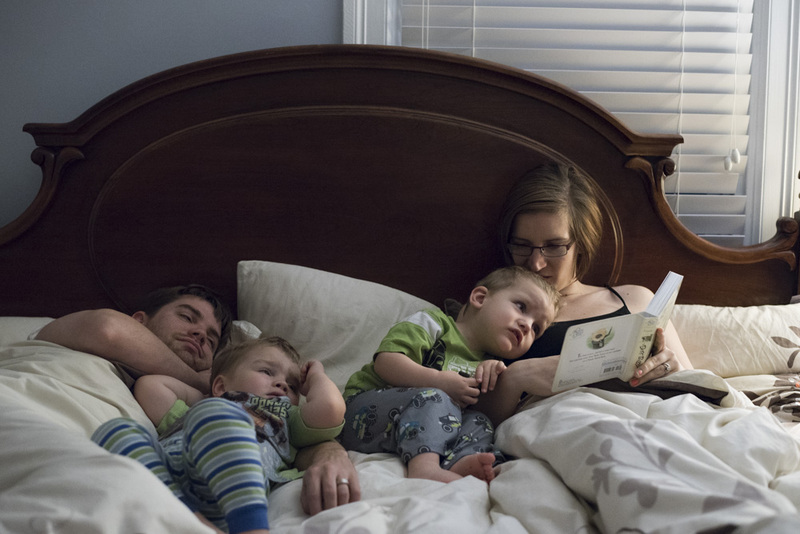 Having become used to this routine, Jill and Daniel are already prepared with open arms and space on the bed for their precious little invader. Just as they were saying this, in walks Jonah. 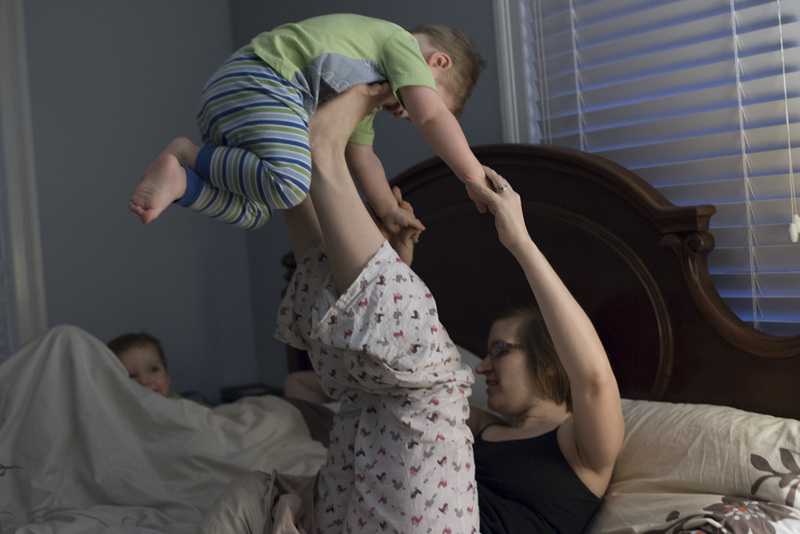 For the next few minutes, they each take turns talking through yawns and stretches while Jonah slides into mom’s arm. Soon after that, Emerson joins the party. After a morning book and some wrestle time, the Mosher schedule began. Almost immediately, Jill and Daniel divided and conquered the chores for the day. Get the kids ready. Check. Carry them to the kitchen upside down. Check. Make Breakfast. Check…and so on. It was great to see how the Moshers could do so much in a short amount of time and it run so smoothly. After breakfast, the Moshers packed up their book bags and workbags and loaded up the hatchback to take the boys to school. As I followed them, they reminded me of why I do what I do. If the car ride was anything like the morning, there were plenty of wonderful moments that are invaluable to parents like Jill and Daniel. In the evening after the Moshers got home, the Mosher’s ate dinner and enjoyed some good family play time. After that, it was bed time for the boys. As they lay in their dimly lit room in their onesie pajamas, Jill got them to sleep despite their initial resisting. After that, Jill and Danielle quickly and quietly cleaned up the house. It was fascinating to see just how well they worked together. Even though you could see the exhaustion from the day on them, they were in perfect sync. After the last toy was put away and they both sat on the couch, you could tell what they both were thinking. “At last, some alone adult time”. While they sat there, savoring the quiet, I took my last few pictures of them. 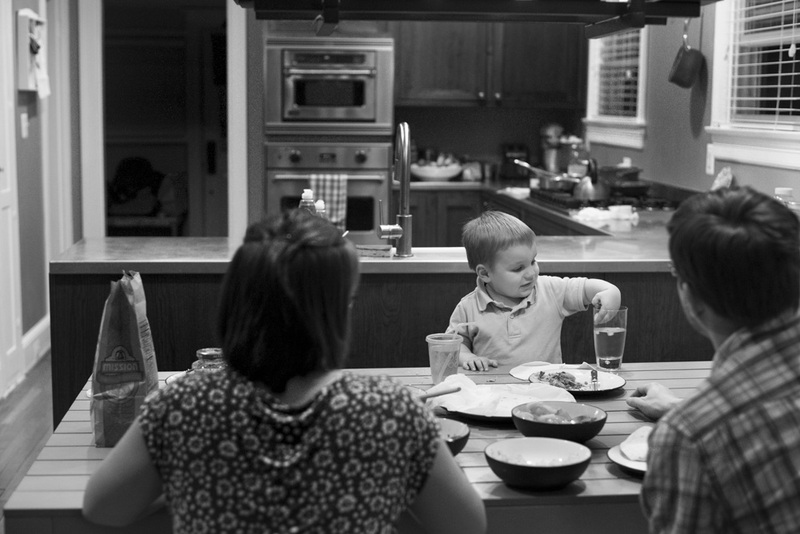 Even though life gets busy, what really centers a person is what they come home to. For the Mosher’s it was two beautiful boys, a supportive spouse, and their home. What will your center be? Newer PostI went to Babies 'R Us and all I got was a lousy.... water bottle?? ?